Kinda sad that this project doesn't get a bit more attention, since what you show does look very good. It is sad to announce, that I've lost the Master ROM for Newer Starshine due to me having to delete my original user account on my PC due to a virus installed because of a 'Windows Update'. Therefore, I have good news! Everything ELSE, will be new! Nooo... This was in developement for quite a while if I am correct, and definitely seemed like one of the better and more exciting ones. Good luck with the new hack though! Thankyou! Think of it as the 'successor' to Newer Starshine! How did you made this, man? What's the secret for edit loading intro-level screens? Anyone know? Ask Mariomaster. He's the one with the ASM. Is there an "Asking to Mariomaster's thread"? It's no secret. Ever heard of ASM hacking? Note: the hack was originally showcased in this post, was borrowed by skawo and then by newluigidev. The patch doesn't work for me. The older versions are OK.
By the way, in older versions, at least in the World 1 levels, there is no custom intro-level loading screens. I tried both EU and US roms. Try different ROM dumps and formats. Or maybe MarioFanatic64 can post a hash or filename. Is NSMBe still mofificating roms that open with it? Because this might be the problem. There is a problem with his xdelta path. I tried with no success too. I was already mentioned it (*cough*) and (of course, we don't have the intention to remember the masters) you know why too. This is a very old well known common mistake from the designers when create the patch. He needs to recreate it an upload again. As Mario says: I'm a back! Thats correct if you're seeing what I'm seeing! Newer Starshine's ROM has been re-discovered in my PC. (Lots of folder deep in...). So the hack is back on track! Overall %: 23. 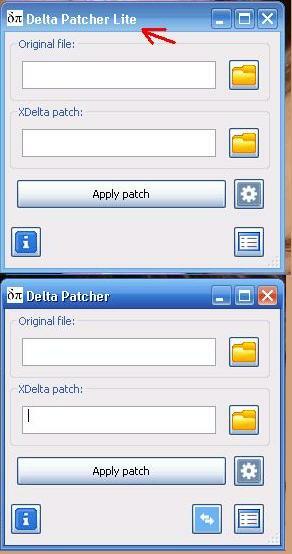 Ok, the patch is working with Delta Patcher. But I'm not sure if it's cool passthrough Checksum verification. It's sounds to me a "workaround" and points that a non free clean original ROM was used to create the patch. I'm surprised this method doesn't break the ROM compatibility with NSMB Editor! Anyway, if the designer uses other programs, different from default, it's cool warning the players which programs we have to use. Or, if the patcher is GPL, just add it with your zip. What a hell we need exactly two same programs with the same size, and almost same time stamp to do the same thing? Hehe... It's smells like Microsoft when hide some objects in their available software.